When the saints entered the valley, it was a new beginning. They had built cities before, but never in isolation. They were starting over not only by arriving in the valley, but now having to create a community.—talk of the psychological and spiritual effects of establishing Zion in the valley. People need to understand that the saints benefited from others who paved the way. The Donner-Reed party had actually created the trail from Fort Bridger to the Salt Lake Valley. John C. Freemont had explored the valley in 1843. His official reports and maps, published by Congress, were studies by Mormon leaders. Brigham Young and the Twelve were rebaptized as a gesture of renewing their covenants. By the end of their stay in the valley, 288 had been rebaptized. It was a practice that had commenced in Nauvoo. What was its purpose, why important? A Theocratic system of government established. 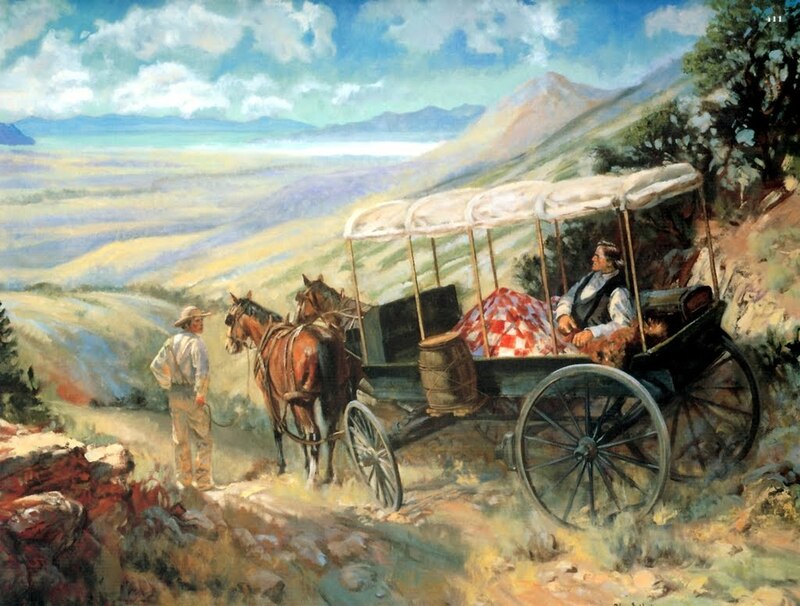 The stake presidency, high council led temporal affairs. The city was divided into 5 wards. Bishops, with their counselors, formed lower courts of justice. The “miracle” of the crickets. Why do we get attached to legends? Or, do we really understand this event in retrospect better than when it happened? Listen to this rich discussion with Cami, Jed, and Nate and hosted by Devery Anderson. Thanks to Nathan Jones for his high quality post-production. Pretty sure he pulled an all-nighter to finish it!